Jamestown CC’s Haley Hettenbaugh eyes the basket as she drives the lane during Wednesday’s NJCAA game against Butler County CC at Jamestown CC’s Physical Education Complex. After returning from six consecutive games on the road, the Jamestown Community College women’s basketball team (10-1) was happy to once again take to their home court at the Physical Education Complex for an NJCAA matchup with Butler County Community College on Wednesday evening. Racing out to a 26-point first quarter, the Jayhawks picked up a comfortable 89-42 victory while displaying excellent passing across the breadth of their roster. In the first two series of the night, Haley Hettenbaugh dished out feeds to Alexis Rodenbaugh in transition and Taylor Phelps for an open-look 3 that was buried. Hettenbaugh was also the recipient of two great passes as the Jayhawks opened up a 10-2 margin, taking advantage of assists by Olivia Lynn and Rodenbaugh. 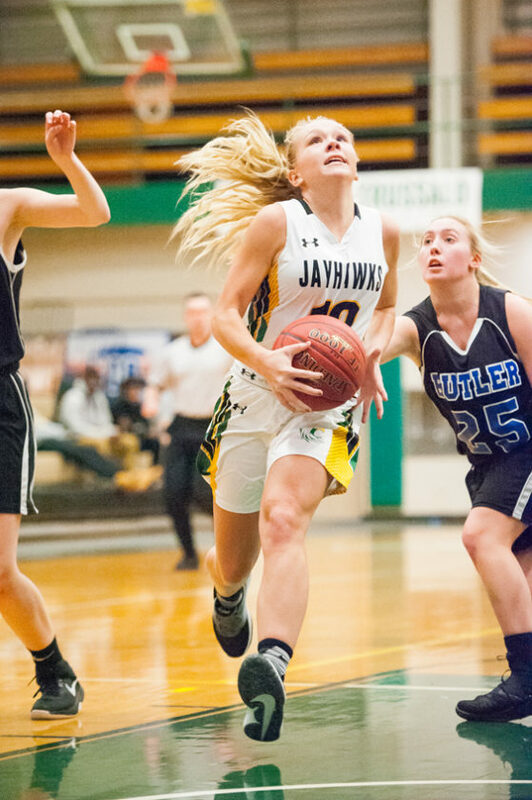 When all was said and done the Jayhawks totaled 26 assists as Rodenbaugh grabbed nine, Hettenbaugh five and Lynn five while both Katelyn Bennett and Jesse Zenns earned a pair coming off the bench. Moments after burying an open 3 to give her team a 17-7 lead, Phelps headed back down the court once more facing strong outside pressure. A hand right in her face did not faze the sophomore guard, as that shot from the wing found the mark as well. Phelps finished 4 of 8 from beyond the arc for 17 points while grabbing five rebounds and one steal. The Jayhawks continued to find open looks inside throughout the second quarter with Rodenbaugh and Nicole Johnson finding their respective rhythms. Johnson led Jamestown CC in scoring with 24 points, eight rebounds and two steals while Rodenbaugh’s night including 17 points and six rebounds. More than anything, the Jayhawks looked comfortable to be back home once again. “It’s just a comfort thing, your rims, your crowd, your family. 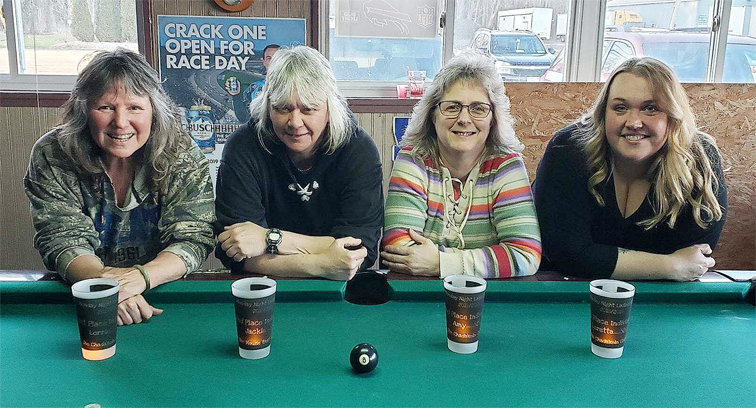 With the surroundings it’s just so much nicer to be at home,” Wells said. With Jamestown CC carrying a hefty lead of 48-23 at halftime, Wells took the opportunity to focus on some of the things that his team will need as they move into the meat of their season. The Jayhawks will take part in Jim Riggs Post-Journal Weekend with tournament matchups at home against Columbus State CC at 5 p.m. on Friday and Lakeland CC at noon on Saturday. NOTES: The Jayhawks won the rebounding battle 51-35, grabbing 20 steals on the night. 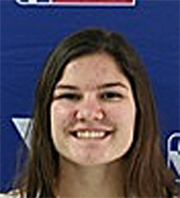 … Makenzie Craig led Butler County CC with a 19-point, 11-rebound double-double while Carly Burdett added 17 points. Dorcy 0-4 0-0 0, Burdett 6-19 4-8 17, Kretzer 2-12 0-0 6, Craig 7-15 5-6 19, Dingel 0-0 0-0 0, Kriley 0-1 0-0 0, Lee 0-6 0-0 0. Totals 15-57 9-14 42. Hettenbaugh 4-6 1-1 9, Rodenbaugh 8-14, 0-0 17, Phelps 6-14 1-2 17, Johnson 11-22 2-3 24, Lynn 3-14 1-2 7, Harrison 0-1 0-0 0, Boardman 0-4 0-0 0, Bennett 3-6 2-2 9, Zenns 2-4 2-2 6. Totals 37-85 9-12 89. 3-point goals–Butler County CC 3-20 (Dorcy 0-2, Burdett 1-3, Kretzer 2-9, Craig 0-2, Kriley 0-1, Lee 0-3), Jamestown CC 6-19 (Hettenbaugh 0-2, Rodenbaugh 1-4, Phelps 4-8, Johnson 0-1, Bennett 1-4). 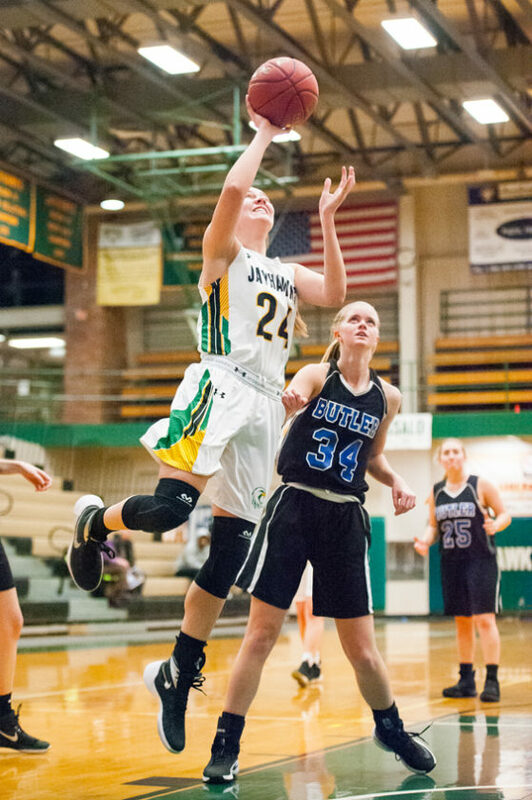 Total rebounds–Butler County CC 35 (Craig 11), Jamestown CC 51 (Lynn 13). Assists–Butler County CC 10 (Kretzer 4), Jamestown CC 26 (Rodenbaugh 9). Totals fouls–Butler County CC 9, Jamestown CC 15.